Magic Man - "Every Day"
Magic Man have made one heck of an impression with their last few singles, and now they've nicely compiled them into an EP of epic proportions. The You Are Here EP includes previous songs "Paris" and "Texas," as well as the track below. "Every Day" is another stunner, packed with hooks and an endlessly repeatable chorus. It actually reminds me of a powerful cross between Haim and Theme Park, two artists with no real musical bridge connecting them until now. What's interesting is how the band have completely reinvented their sound since their debut album in 2009 (a record hardly mentioned in any press releases). They're now reintroducing themselves with these songs and essentially keeping only the name (it is a good name). 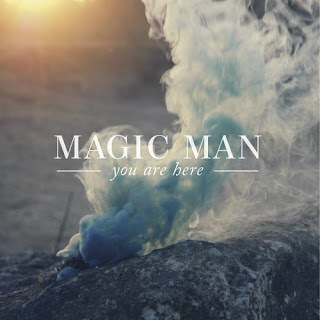 So while Magic Man may have jumped on the new hip 'indie-pop in a stadium' trend, it's hard to complain because they do it better than almost anyone else.